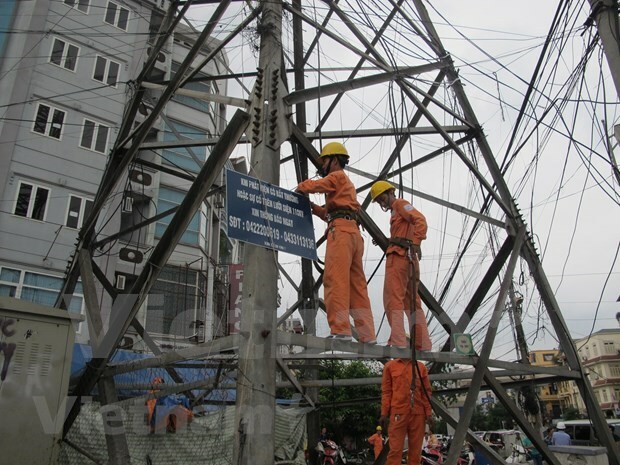 Hanoi (VNA) – Prime Minister Nguyen Xuan Phuc has approved a national programme on efficient and economical use of power in 2019-2030, aiming to save 5-7 percent of power consumption nationwide from 2019-2025. The objectives of the programme include under 6.5 percent of power loss, a reduction of average power cost for industrial sectors lower than that in 2015-2018 and training on power saving techniques for all transport enterprises. One of the major tasks of the programme is building a power data centre, along with the application of IT in power management and operation system, and the updating of data on power efficiency. The programme will help strengthen the capacity of the community in using power in an economical manner, and train officials of agencies from central to local levels in power saving. Alongside, training courses will be held for research centres, training facilities and consultation agencies in power saving and power companies to enhance their capacity in saving electricity. The network of power saving advisory and service agencies will be expanded, while two national training centres for power management will be put into operation. Conferences and seminars will be organised to share experience in saving power and making and implementing plans in efficient and economical use of power. Credit organisations will be trained to improve their capacity in verifying projects in power efficiency. Socio-political organisations are encouraged to share solutions in using power efficiently and economically.